Brilliantly upgraded Contemporary! 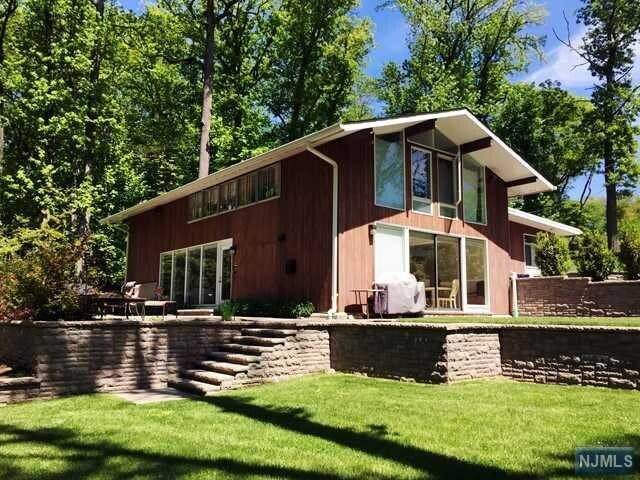 Nestled high on Tenafly's prestigious East Hills. Approx. 1 acre of picturesque wooded property. Great open floor plan. Entry level features marbled foyer w/radiant heat, generous coat closet, office/den, laundry room. Spectacular main level boasts 3 yr old, state-of-the-art gourmet kitchen, dining room, family room, open living room w/vaulted ceiling & FPL, & a full BTH. Sliding doors to large patio. Upper level features MBR suite & luxurious MBTH, 3 add'l BR's (w/HW floors/customized closets), & another FBTH. All BTH's have been remodeled. 2 car detached carport. Numerous amenities. Newer U/G sprinklers. Newer roof. 4-zone heat & 2 zone C/A/C. Washer/dryer, kitchen appliances & window treatments included. Grill excluded. Private & tranquil setting. Sought-after cul-de-sac. Gorgeous sunset views. Lg professionally landscaped backyard w/a private path to Leroy St. Close to schools and houses of worship. One-of-a-kind opportunity! The data relating to the real estate for sale on this web site comes in part from the Internet Data Exchange Program of the NJMLS. Real estate listings held by brokerage firms other than Douglas Elliman are marked with the Internet Data Exchange logo and information about them includes the name of the listing brokers. Some properties listed with the participating brokers do not appear on this website at the request of the seller. Listings of brokers that do not participate in Internet Data Exchange do not appear on this website. All information deemed reliable but not guaranteed. Source: New Jersey Multiple Listing Service, Inc. Last date updated: 04/25/2019.